A very moving story. It treats two very difficult subjects without being impossibly depressing to read. The contrast between Marina's clear memories of the war years and her loosening grip on present reality is handled beautifully as the narrative moves almost seamlessly between the two. I was particularly touched by the scene at the wedding reception when Marina is talking to the "nice lady in a pink dress" [may not be an exact quote; I lent the book out without writing it down]. I had never heard that during the siege, museum employees gave tours of the museum, stopping before the empty frames and describing in great detail the paintings that used to hang there. 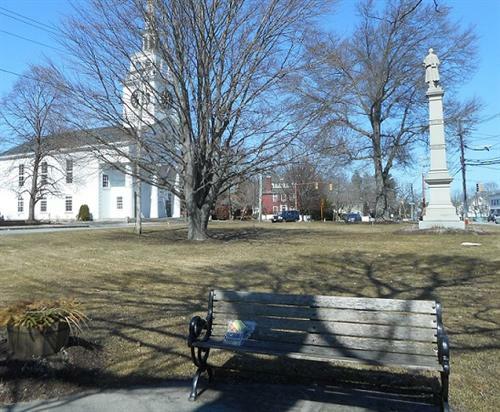 That they remembered not only the fine points of hundreds of works, but also their precise location is a testament to their love of art and dedication to their job. 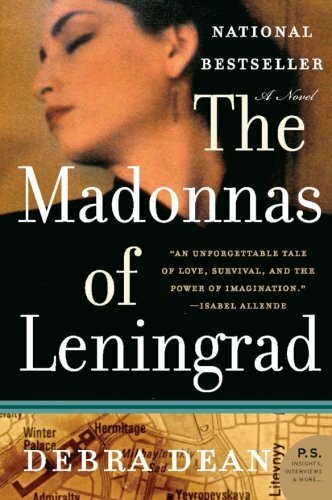 It was interesting to learn that Ms. Dean wrote the book before she had the chance to actually visit St. Petersburg [Leningrad]. Her account of the trip she took with her husband post-publication was quite humorous. Left at about 3:00. Hope the finder enjoys it! Released for Leap Into the Wild Challenge hosted by AlterEgoZoe. Released for Oh, the Places We Can Go Challenge hosted by Secretariat. Picked up at the LFL on Middlesex Turnpike in Burlington, MA on my way down south today. Thanks! But wow, I'm so glad I picked this one up; what a gem. The picture I'm uploading here is one I took in December 2013, during a trip to St. Petersburg (the former Leningrad). 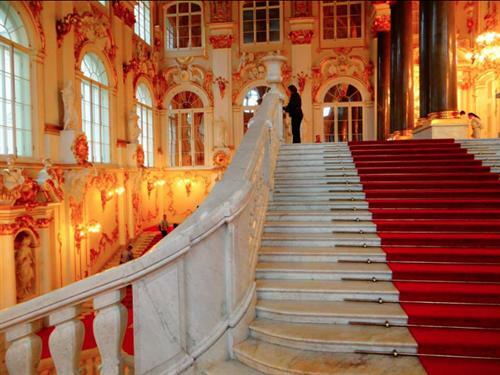 It's of the Jordan Staircase in the Hermitage Museum, which is mentioned several times in the book. The scenes where Marina describes the absent artworks in such detail that her audience begins to see them - those were my favorites. But the suffering and mutual support of the staff during the siege was also memorable. Impressive book!